ABOUT SPA Beddings: SPA Beddings specially known for their bedding product. SPA Beddings deal in bedding section as Sheet Set, Duvet set, Comforter and many more. SPA Beddings's mission is to make a difference in the sleep and health of its customers through handcrafting the highest quality bedding products. ABOUT PRODUCT: Experience luxury like you has never felt before. Sheets that feel almost hedonistic, this sumptuous set is going to bring your dreams to a whole new level. Slip between the covers and let yourself wallow in the decadence that this bedding offers. Add in delightfully soft, ultra-plush pillowcases, and you'll truly feel pampered. This 6-piece set is crafted from incredible. EXPERT CRAFTSMANSHIP:: Our product made by 100% Egyptian cotton. Egyptian cotton is hand-picked which puts less stress on the fibers, leaving them straight and intact. Made by experts these fibers can be made longer to create very fine yarns which make it possible to make yarns without sacrificing the length, giving stronger and softer cotton, unlike regular cotton which has more splices. EXPERIENCE THAT MATTERS: With years of experience, we understand that to be comfortable in bed is very important to create a pleasant, calm, and peaceful night sleep. That's why we created this perfect Bed Sheets Set, that is super soft, luxury to the touch, cool and breathable through which you should be able to have the best sleeping experience ever. PRODUCT VARIATION: It's available in a variety of beautiful colors and Sizes, and no matter which one you choose. CARE INSTRUCTION: machine wash cold, gentle cycle. Do not bleach. Tumble dry low. Iron as needed gorgeous soft sheets. SET INCLUDES: One flat sheet(110X102), one fitted sheet(72X84X19), two pillowcases(20X40). Comes in an array of attractive colors to suit your bedroom decor. 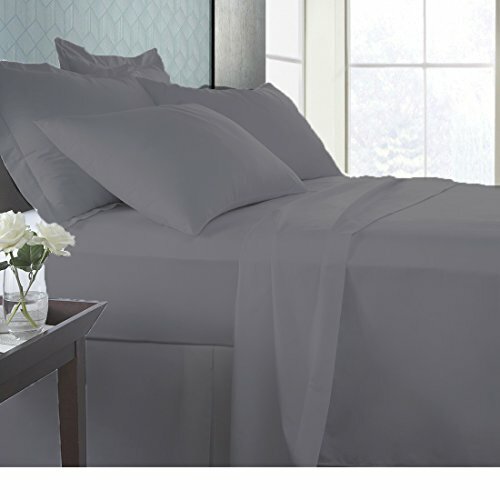 MATERIAL: 100-percent long-staple Egyptian cotton with crisp finishing. HIGH QUALITY PRODUCT: This bed sheet set is made of the best quality EGYPTIAN COTTON to increase ultimate luxury and softness. FOR BEST RESULT- Wash separately on first use, Machine Washable , Do Not Bleach , Tumble Dry Low If Needed. If you have any questions about this product by SPA Beddings, contact us by completing and submitting the form below. If you are looking for a specif part number, please include it with your message.